Do you need a new EIN if you opening up a 2nd clinic? Let’s start this blog off by wishing everyone a HAPPY NEW YEAR!! I hope everyone had a great 2017, and entered 2018 with a blast. Typically going into a new year means you’ve set some new personal goals, new business ventures, or business growth goals. So with that being said, let’s say you want to open up a new clinic across town, or in another state. 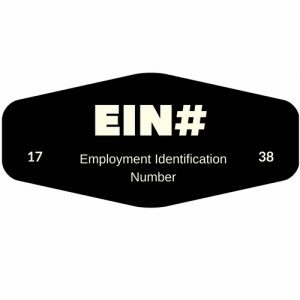 One of the main questions that comes up at this point, is will I need new EIN number; Employer Identification Number, also known as a Federal Tax Identification Number? Well to give you a quick answer, and assuming you plan to do business under the same business name and ownership hasn’t changed, then the short answer to this question is, no, you won’t require a new EIN. To layout a few different scenarios, to ensure that you’re covered, lets go over a few. You are required to obtain a new EIN if you are subject to a bankruptcy, if you incorporate, if you take on partners and operate as a partnership, or if you purchase or inherit an existing business. A lot of businesses make the mistake of thinking they can just take over an existing EIN and that simply isn’t the case; plus you wouldn’t want to inherit a previous business owners tax liabilities. However, you won’t need a new EIN if you just change the name of your business, change or add locations, or operate multiple businesses. You will be required to obtain a new EIN if the corporation receives a new charter from the Secretary of State, or if you are a subsidiary of a corporation using the parent’s EIN or if you become a subsidiary of a corporation. Other factors for needing a new EIN would be if you change to a partnership or a sole proprietorship or if a new corporation is created after a statutory merger. However, you won’t need a new EIN if you are a division of a corporation, if the corporation files bankruptcy, the corporate name changes, if you change or add locations, or the corporation changes to an S-Corp.
To make sure that you’re following the appropriate rules and regulations, you should consider visiting www.irs.gov or hiring a CPA or Tax Attorney.